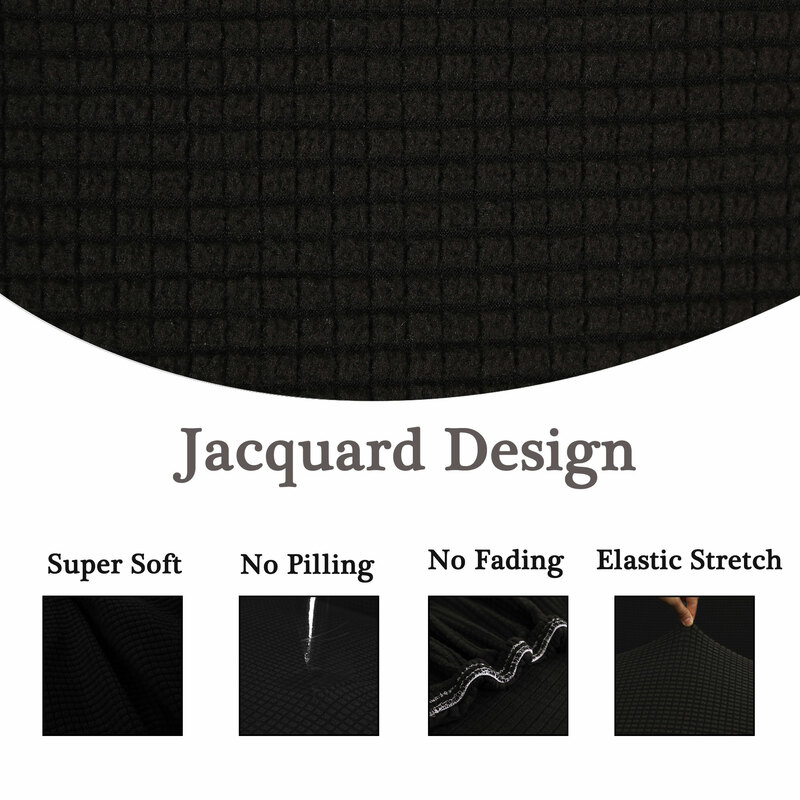 ›Jacquard Sofa Covers 1-Piece 1 2 3 4 Seaters Couch Cover Home Furniture Protector #Black 35"-55"
Jacquard Sofa Covers 1-Piece 1 2 3 4 Seaters Couch Cover Home Furniture Protector #Black 35"-55"
The main material of our sofa is polyester fiber. It has good elasticity, wear-resistant and wrinkle resistant, soft and silky, and insulation. Our slipcovers protect your furniture from stains, pet hair. It is easy to set up and pick up, recycling, it can be used time and time again. Choose my sofa cover, give you a better shopping experience. 1. Protect your furniture/couch from stains, pet hair & harm. 2. Stretch and thick jacquard material, best touch feeling. 3.The stretch material, suitable for the most sofa. 4. Available in 4 sizes, many colors optional. 5. Very easy to clean, easy to set up and pick up, can be washable. 6. Recycling, can be used time and time again. 7. Do not need ironing. Step 2. Cover the sofa in the right direction. Step 3. Let the sofa hold down the four corners. Step 4. Put the small cloth strip into the gap in the sofa. Step 5. Put the sofa down and pull cover tight, pulling any excess fabric to the back. Step 6. Enjoy your newly covered sofa! -Due to the different size of the sofa gap, the small cloth strip may sometimes not work very well when the gap is too big or too small. If too small, we suggest that you can just put some waste clothes or towels into the gap and do not need to use the small cloth strip. If too big, it will be better when you put waste clothes or towels into the sofa gap with these small cloth strips. If your sofa is L type combined with 2 parts separately, you need to order the 2pcs cover for it. This sofa cover applicable to the sofa on which there is a gap between the seat with backrest and armies.